The anti-Semitism news from Europe in over the past year has been terrible: Jews murdered in Paris and Copenhagen, synagogues attacked by mobs and firebombed, and increasing Jewish emigration attributed to fear of more attacks. A new poll on anti-Semitic attitudes, however, may offer some reason for optimism amid an otherwise bleak picture. The Anti-Defamation League poll, a follow-up to our 2014 survey of anti-Semitic attitudes in more than 100 countries and territories, found significant decreases in bigoted views toward Jews in France, Belgium, and Germany, where anti-Semitic violence has been a prominent issue. The surprising results in these three countries prompted us to look deeper into possible reasons and to confirm the results. The initial results were confirmed and the new data we obtained suggest possible explanations. What did we find in all three countries? Respondents had heightened awareness and concern about violence against Jews and a stronger sense of solidarity with the Jewish communities. Over half of French respondents had heard political leaders condemn anti-Semitism, and majorities in all three countries noted their governments had been more active in combatting anti-Semitism. For decades, ADL has urged public figures in America and around the world to denounce anti-Semitism when incidents occur. In the U.S., leaders at all levels of government make such statements and we have seen decreases in anti-Semitic attitudes here in our decades of domestic polling. 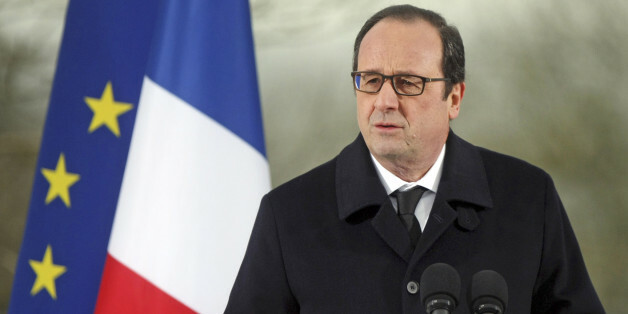 Over the past year, we have also seen strong and sustained denunciations of anti-Semitism in France by Prime Minister Manuel Manuel Valls and President Francois Hollande, where the most pronounced drop in anti-Semitic attitudes was found among the European countries surveyed. In Germany, Chancellor Angela Merkel headlined a rally against anti-Semitism in September. Belgian Prime Minister Charles Michel, who took office in October, has been outspoken against anti-Semitism and honest about laxity of previous governments. Such actions should be emulated by all European leaders. It is certainly possible that people were simply less willing to express agreement with anti-Jewish statements, while still harboring such attitudes. Respondents reported similar levels of anti-Semitism among people they know compared with 2014, a perception which is often a proxy for people holding anti-Semitic views themselves. Even if that is the case, greater reticence to express anti-Semitism would still be a positive development. The good news must be tempered by the sobering concern that we do not know how deep and lasting these positive shifts will be. The traumatic effects of the recent violence in France, Belgium and Germany may fade and the reluctance to express anti-Semitic attitudes may recede. Additional polling over time will tell us. Other poll results showed how much anti-bias work remains to be done. For the first time, the ADL poll measured Muslim attitudes in Belgium, France, Germany, Italy, Spain, and the U.K. An average of 55 percent of Western European Muslims harbored anti-Semitic attitudes. Acceptance of anti-Semitic stereotypes by Muslims in these countries was substantially higher than among the national population in each country (ranging from 12 to 29 percent), though lower than corresponding figures of 75 percent for Muslims in the Middle East and North Africa (MENA) in ADL's 2014 poll. The index is made up of 11 classical stereotypes about Jews. In consultation with scholars, ADL set a standard in which respondents had to agree with six or more of these stereotypes in order to be described as harboring anti-Semitic attitudes. To be sure, any one question may be subject to different interpretations. However, agreeing with at least six of these statements makes clear one's biased attitude toward Jews. On most conspiracy-related statements, e.g. "Jews have too much control over global affairs," results for European and MENA Muslims showed little difference. However, on negative statements about Jewish character, e.g. "people hate Jews because of the way they behave" and "Jews think they are better than other people," European Muslims scored substantially lower than MENA Muslims. Reducing violent attacks on Jews and Jewish institutions must clearly be the first priority in the battle against anti-Semitism, but changing attitudes counts. While we do not see a correlation between high numbers of violent incidents and high levels of anti-Semitic beliefs, Jews feel freer to live openly as Jews when they are confident of being accepted in their societies, not just in the absence of security concerns. The fight against anti-Semitism must be waged in the public square and at schools, as well as by law enforcement. Political leaders must set the tone and devote the political capital to encouraging every sector of society to engage together to combat the scourge of anti-Semitism. Civil society and the business community, educators and journalists, religious leaders and students, parents and children, law enforcement officers, prosecutors and jurists must all join the battle. Large majorities of respondents in Belgium (68 percent), France (77 percent), and Germany (78 percent) agreed that, "Violence against Jews in this country affects everyone and is an attack on our way of life." We should not settle for less than 100 percent, and that requires clear and consistent reinforcement that threats to Jews are assaults on the well-being and sense of security for the whole society. Let us hope the improvements found in our poll grow in effect, expand across Europe, and eventually through the rest of the world.